Our very good freinds Ank and Karin send this press scan from Belgium magazine Feeling Wonen. 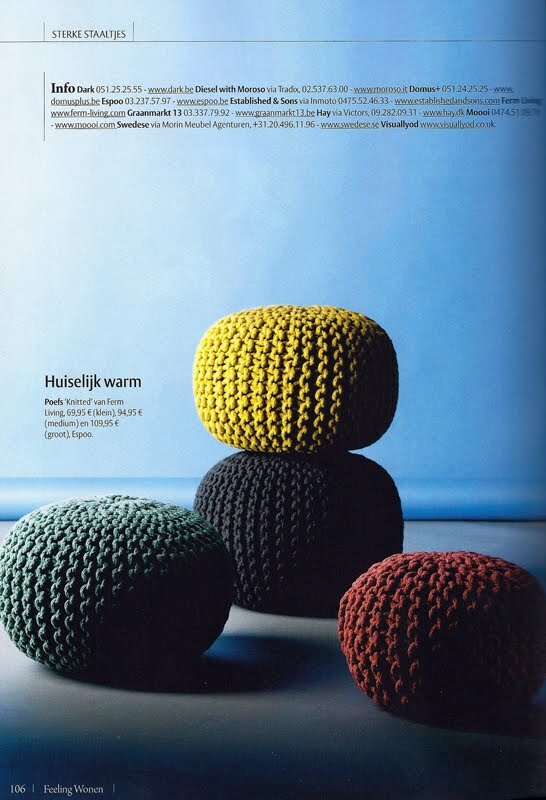 A whole page with our knitted poufs. Wow! Check out the poufs here.